These 2 blocks are made with the video tutorial below. I have seen different kinds of disappearing 9 patch blocks but this variation is not as common though it is very effective. 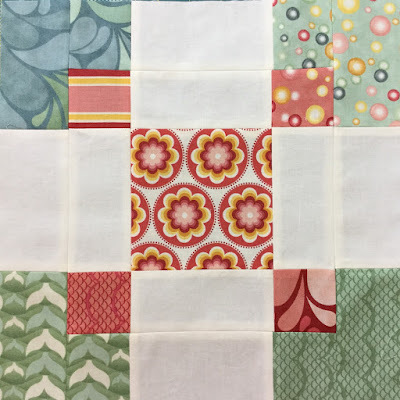 Again, this block is quite quick and easy to make as you can see on the video. 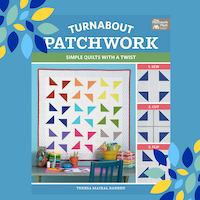 To make this tutorial you need to start with 2 traditional 9 patch blocks. 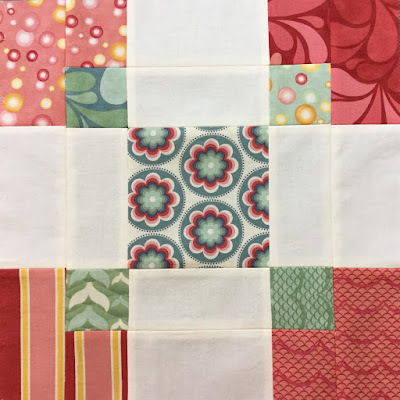 Fussy cut the central square or use that fabric you’ve been keeping for a special project. 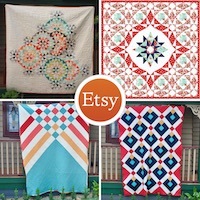 This quilt can be quite striking in colour schemes such as black and white, red and black, red, black and white. 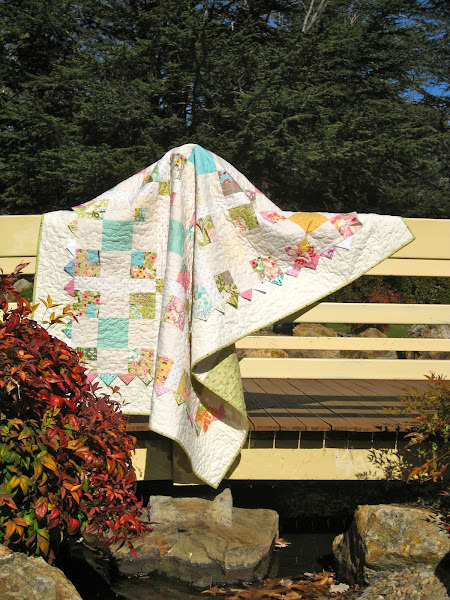 I made a quilt with this variation of disappearing 9-patch block some time ago. 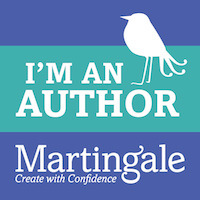 Have a look at the prairie points. I think this was the first time I introduced fabric manipulation on my quilts. I have made many fabric manipulations since. This is the full quilt. The prairie points add a very nice touch in my view. 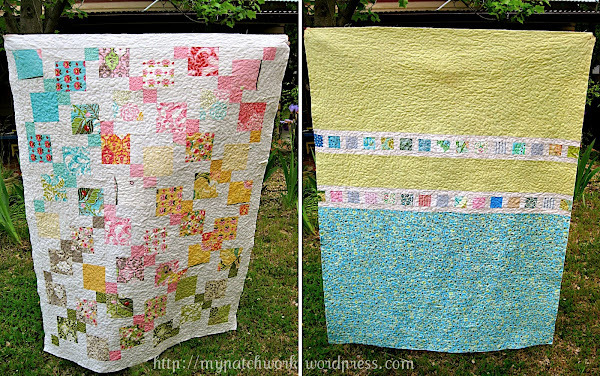 It makes this quilt particularly special and they’re a great way to use up your fabric scraps. 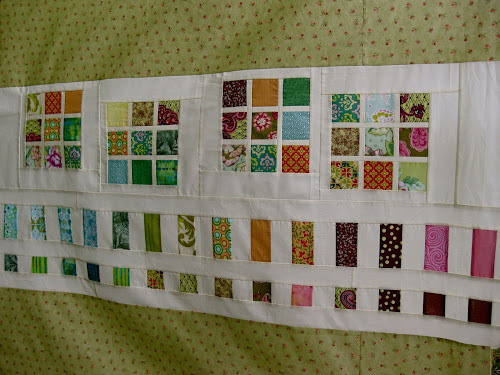 This is the back of the disappearing nine patch variation with prairie points border quilt made using fabric scraps. 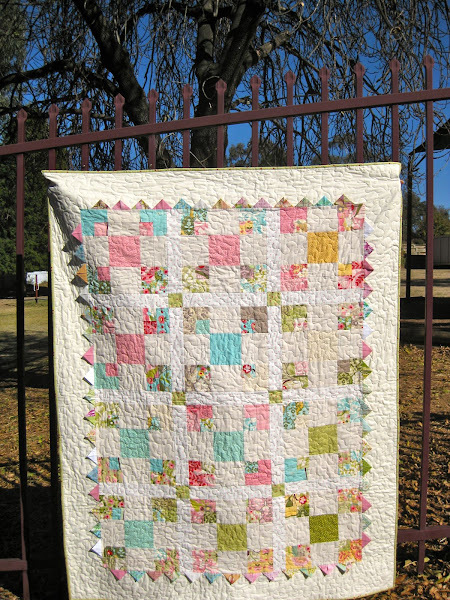 The big blocks are inspired on this quilt though I used my own measurements. The squares in the cube blocks are 3 x 3 inches and the sashing is 1 x 1 inch before stitching. Cut the rest of the pieces as per picture below. Note: The 2 1/2 inch strips between the alternating patterns are 70 inches long. The cube blocks are placed in an asymmetrical way as per picture below. The sides of the back are 11 inches wide before stitching. The pieces are made of alternating scraps of fabric in different widths (1inch to 2 1/2 inches each) and lengths up to 11 inches in total. Finished size 41 3/4 inch x 56 1/2 inch approximately. Made with Hunky Dory for Moda charm squares. 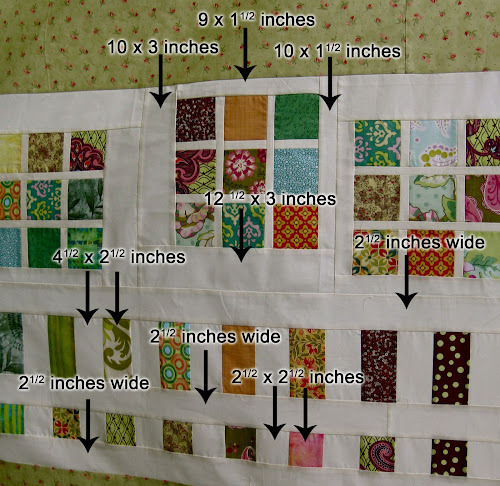 Instructions to make the top: “Disappearing nine patch quilt tutorial”.